Here is another great deal that you can grab for your cats! 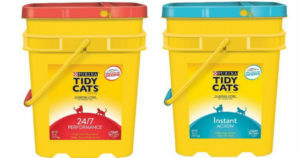 You can get Tidy Cats Cat Litter for only $6.69! Head over to Target and get this deal!